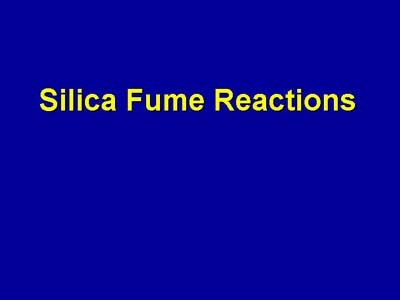 This section of the presentation describes how silica fume reacts in concrete. First, the pertinent physical and chemical characteristics of silica fume are given. Then, the physical and chemical effects of silica fume are addressed. This section concludes by looking at the effect of silica fume on the transition zone.